This article is about the year 1588. Wikimedia Commons has media related to 1588 . August 6: Battle of Gravelines. 1588 ( MDLXXXVIII ) was a leap year starting on Friday of the Gregorian calendar and a leap year starting on Monday of the Julian calendar , the 1588th year of the Common Era (CE) and Anno Domini (AD) designations, the 588th year of the 2nd millennium , the 88th year of the 16th century , and the 9th year of the 1580s decade. As of the start of 1588, the Gregorian calendar was 10 days ahead of the Julian calendar, which remained in localized use until 1923. 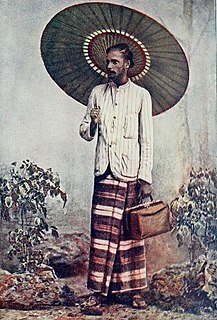 February – The Sinhalese abandon the siege of Colombo, capital of Portuguese Ceylon. February 9 – The sudden death of Álvaro de Bazán, 1st Marquis of Santa Cruz, in the midst of preparations for the Spanish Armada, forces King Philip II of Spain to re-allocate the command of the fleet. April 14 (April 4 Old Style) – Christian IV becomes king of Denmark–Norway, upon the death of his father, Frederick II. 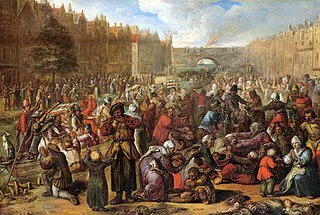 May 12 – Day of the Barricades in Paris: Henry I, Duke of Guise seizes the city, forcing King Henry III to flee. 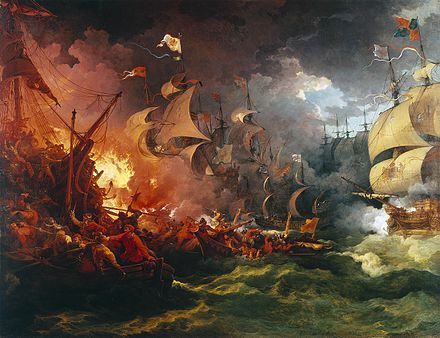 May 28 – The Spanish Armada, with 130 ships and 30,000 men, begins to set sail from the Tagus estuary, heading for the English Channel (it will take until May 30 for all of the ships to leave port). February is the second and shortest month of the year in the Julian and Gregorian calendar with 28 days in common years and 29 days in leap years, with the quadrennial 29th day being called the leap day. It is the first of five months to have a length of fewer than 31 days, and the only month to have a length of fewer than 30 days, with the other seven months having 31 days. In 2019, February has 28 days. July – King Henry III of France capitulates to the Duke of Guise, and returns to Paris. 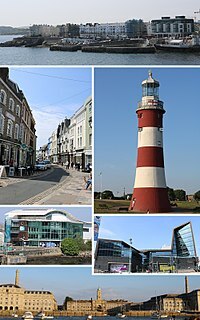 July 31 – The first engagement between the English and Spanish fleets (off of Plymouth) results in a victory for the English, under command of Lord Howard of Effingham and Sir Francis Drake. August 2 – The English fleet defeats the Spanish fleet, off the Isle of Portland. August 6 (July 29 Old Style) – Battle of Gravelines: The Spanish Armada is defeated by the English naval force off the coast of Gravelines, in the Spanish Netherlands (modern France). August 7 – The English fleet defeats the Spanish fleet off the coast of Flanders. August 8 – 9 – The Spanish are unable to reach the coast of Flanders, to meet up with the army of the Duke of Parma. The Duke of Medina Sidonia decides to return to Spain. August 12 – The fleeing Spanish fleet sails past the Firth of Forth, and the English call off their pursuit. Much of the Spanish fleet is destroyed by storms, as it sails for home around Scotland and Ireland. October 7 – The first biography of Nicolaus Copernicus (d.1543) is completed by Bernardino Baldi. December 5 – The Order of Augustinian Recollects is formally recognised as a separate province from the Order of Saint Augustine, an event later known as the Día de la Recolección or Day of Recollection. December 23 – Henry III of France strikes his ultra-Catholic enemies, having the Duke of Guise and his brother, Louis II, Cardinal of Guise, killed, and holding the Cardinal de Bourbon a prisoner. As a result, large parts of France reject Henry III as their king, forcing him to side with Henry of Navarre. July 31 is the 212th day of the year in the Gregorian calendar. There are 153 days remaining until the end of the year. The Armada Portrait of Elizabeth I of England is created, to celebrate the English defeat of the Spanish Armada, and to assert the strength of Elizabeth herself. William Morgan was Bishop of Llandaff and of St Asaph, and the translator of the first version of the whole Bible into Welsh from Greek and Hebrew. The Bible has been translated into many languages from the biblical languages of Hebrew, Aramaic and Greek. As of October 2017 the full Bible has been translated into 670 languages, the New Testament has been translated into 1,521 languages and Bible portions or stories into 1,121 other languages. Thus at least some portion of the Bible has been translated into 3,312 languages. 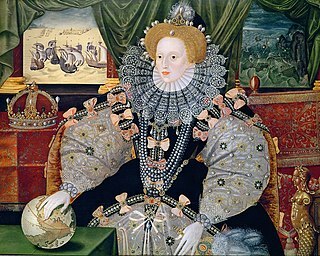 The Armada Portrait of Elizabeth I of England is the name of any of three surviving versions of an allegorical panel painting depicting the Tudor queen surrounded by symbols of imperial majesty against a backdrop representing the defeat of the Spanish Armada in 1588. Arnold Vinnius was one of the leading jurists of the 17th century in the Netherlands. Wolrad IV, Count of Waldeck was a count of Waldeck and founder of the new line of Waldeck-Eisenberg. June 10 – Valentin Weigel, German theologian (b. 1533). 1625 (MDCXXV) was a common year starting on Wednesday of the Gregorian calendar and a common year starting on Saturday of the Julian calendar, the 1625th year of the Common Era (CE) and Anno Domini (AD) designations, the 625th year of the 2nd millennium, the 25th year of the 17th century, and the 6th year of the 1620s decade. As of the start of 1625, the Gregorian calendar was 10 days ahead of the Julian calendar, which remained in localized use until 1923. Year 1579 (MDLXXIX) was a common year starting on Thursday of the Julian calendar, and a common year starting on Monday of the Proleptic Gregorian calendar. ↑ "William Morgan - Welsh bishop". Encyclopedia Britannica. Retrieved 16 April 2018. ↑ Watkins, Basil (2015). The Book of Saints: A Comprehensive Biographical Dictionary. Bloomsbury Academic. p. 197. ISBN 9780567664143. ↑ "Incarnation Lineage: Dalai Lama Main Page". www.himalayanart.org. Retrieved 16 April 2018.